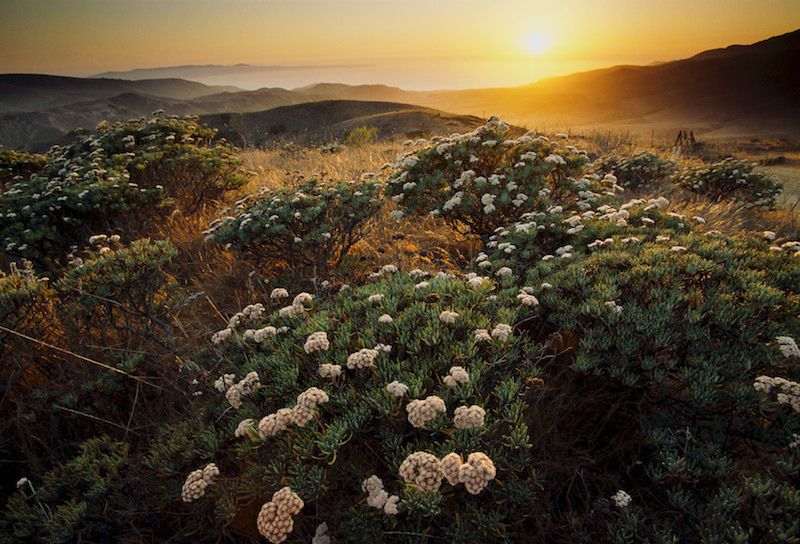 Sunset view of blooming Santa Cruz Island buckwheat (Eriogonum arborescens). Endemic to Santa Cruz Island. Channel Islands National Park. Coastal sage scrub habitat, also called chaparrel. Mediterrainan climate zone.